Heading off from the Tolkienesque Hogsback we undertook a long morning's drive out of the mountains to the surf Mecca of Jeffreys Bay. Visiting the world famous Supatubes, we watched flat swell be swept aside by a crosswind. We headed to our accommodation then went and braved sideways sand for an hour or two on the beach. The sunshine was lovely, as was the water, but eventually we ran home with ears and eyes full of sand. That evening we treated ourselves to fish and chips on the foreshore. We played kings with a bunch of college kids from Bloemfontein, seeing off a cask of red wine before one of them poured a drink over our deck of cards. We're yet to appreciate the South African love of brandy and coke, but we did discover that an average farm worker in south Africa works for 1300zar ($160AUD) a month. Wow. The next morning we were up early and driving to Tsitsikamma National Park. We paid the exorbitant entry fees, more than double for an international than a local, but were pleased when we found our camp site to be located 20m away from surf pounding into the rocks. We wiled away the afternoon with a lovely coastal walk to a waterfall and another to a large suspension bridge crossing Storms River. That night we braaied mealy-meal in corn and the family camped next to us gave us a present of their favourite Mrs. Ball's Famous Chutney, which improved our corn immeasurably. Again we were taken aback at how friendly everyone is, the family on the other side of us helped get out fire roaring and another man lent us a spare table they had. We watched the sun set over the Indian Ocean before sleeping to the sound of the surf. Long system was amazing, with fantastic stalactites, stalagmites and other rock formations. That night we braaied again, cooking ostrich fillet and boerwors over hot coals for a fantastic meal. We camped out on a patch of lawn, but were rather rudely woken up when a sprinkler came on next to it at seven the next morning. 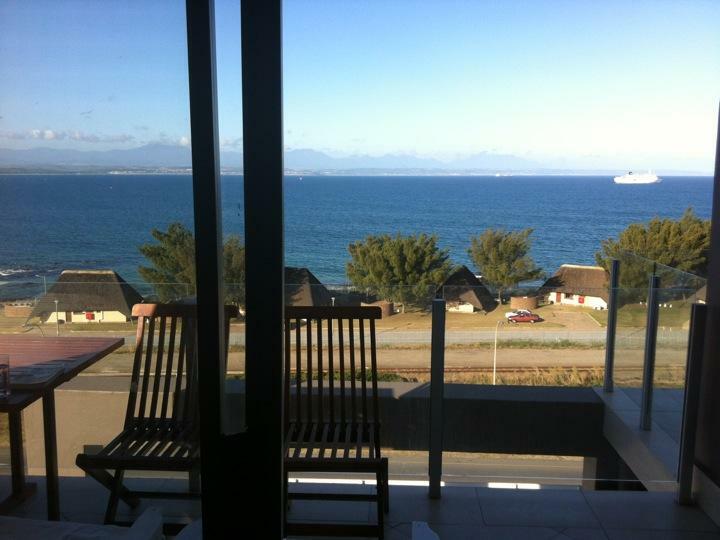 Next stop was Mossel Bay. We were lucky enough to be couchsurfing with Ruan, and spent that afternoon with him at a beautiful beach called Victoria Bay. We cruised there and back in his amazing 1974 Mercedes convertible, top down and hair flying. That night we didn't get up to much, feeling the effects of an afternoon in the sun and an early evening of food and beer overlooking the ocean. We just sat back and watched the moon rise from Ruan's bayside balcony, feeling we were kind of cheating to call ourselves 'backpackers' at that point! Bliss. The next day we got up early to go quad biking around a game reserve. Great fun was had tearing around the dirt tracks, chasing ostriches, zebras, wildebeest, giraffes and various antelope. That afternoon we used our Sunday to its fullest and did nothing at all before heading out for Cuban food at the Havana Club, overlooking the water. Filled with jalapeños and beer we went home for coffee on the balcony, retiring early as we had to get up early for our last drive of the South African leg of trip. Cape Town is the next, and possibly last Stop before Namibia.